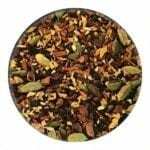 Try this if you are a fan of Chai Masala – this gives you all of the spice without the caffeine!. 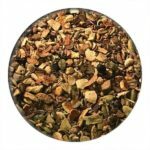 This loose leaf rooibos tea from South Africa has all the benefits of traditional rooibos but with a spicy chai twist. 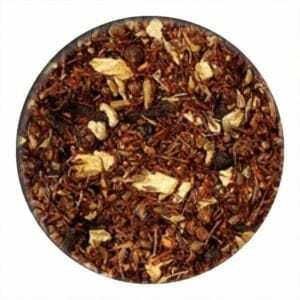 Rooibos tea (35 %), aniseed, ginger pieces, black peppercorns, cardamom seeds, cinnamon pieces, cloves.